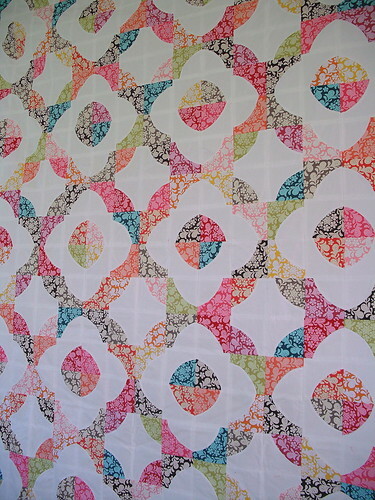 It's been quite a while since I first started my drunkard's path quilt. 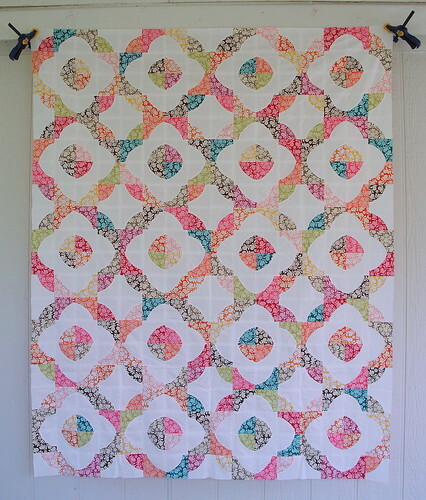 I started it at a quilt retreat six months ago, and on this last one, I finished the top! This took stinking for-e-ver. (Sandlot, anyone?) But really, it did. It was totally worth it, though! 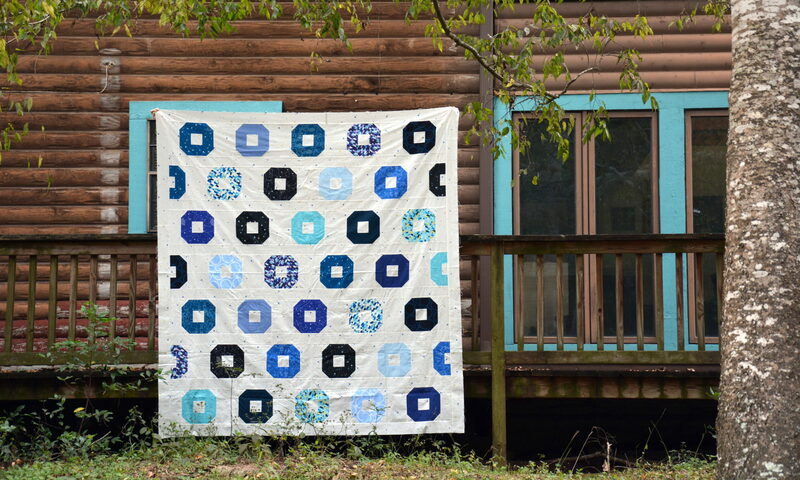 This is one of those quilts that just looks better in person, and it's so beautiful! The only bummer is that I didn't re-read the directions when I trimmed all my blocks, so I've got curves that are not matched up. But let's just pretend they are. :) By that point I figured it out, it was way too late to fix it, so I just went with it. Quilting is definitely a learning process!